Congratulations to our 3 winners! Each of you will receive one $100 gift card to Minted! Wahoo! Amy, who said, "Great giveaway! What gorgeous prints! Hope I win!" Megan, who said, "Love the new art prints!" Guinevere, who said, "Mmm, Minted. Perfect for so many things now that I have a kid in school!" While school hasn't started up just yet in these parts, I know it's already in session in many other places. So why not mark the occasion with a momentous giveaway?! This time of year is sad for some, celebratory for others; but regardless, it most assuredly means family life is more complicated. What you need to feel on top of your game and organized is a generous gift card to Minted...because you do want to pick up a classy, personalized gift for your child's teacher. And you do need new address labels and blank notes for the times when email isn't the most appropriate way to communicate...and a myriad of other things! I also feel a sudden urge to decorate and finish up house projects come September and October. Do you find yourself having the same nesting instincts this time of year? If so, perhaps some of Minted's new art prints are in order in your space? The bottom line is that Minted has a lot of great paperie offerings for all occasions making this a giveaway worth winning...for everyone. Now, the excellent news...Minted has generously offered 3 readers a $100 gift card. I cannot wait to announce 3 winners! This definitely ups your odds of winning. In the meantime, start scheming as to what you're going to do with a $100 credit. Have a blast! - You have 5 days to enter this giveaway (closes Monday, September 3rd at midnight--that's Labor Day here in the US). - If you are one of the 3 winners, please respond within one week of the winner announcement to secure your prize. Thank you! Awesome giveaway...I'm definitely like you - trying to finish projects - Thanks for the chance. Good luck with Back to school - or as they say in France - La Rentree! Generous giveaway! I love that they seek out new designs and designers through submissions - brilliant way to keep things fresh! I love minted, fingers and toes all crossed! They have such great things - what a fabulous giveaway! Minted is a favorite. I would love to win! I really, really love the entire minted look! What a great giveaway, I love Minted! These are so fun - thanks for the chance to enter this giveaway! I've been eyeing a few art pieces for a while and would love to finally have them in my home! I love Minted! I'm hoping to use them for my wedding invites so this would be perfect! Fingers crossed!! Wow, so generous of them! I love those prints you showed- darling. I adore Minted - love all their designs! I'm addicted to minted! Love all the paper goods. Beautiful, beautiful things. Love them. Very generous, indeed. Getting married October 13th and would love some new address labels, notecards ..... fingers crossed. so generous. what a great giveaway! Great giveaway! I just had a baby and would LOVE some birth announcements! I love Minted! Oh I've always wanted a fun shopping spree at Minted! Minted's skinny address labels are darling but a non-necessity in our house so I'd love to get some with no guilt. Thanks! I love minted, would love to win! Thank you! Love Minted! Would love to win so I could use them for our holiday cards this year. Oh, what a wonderful giveaway! Minted is my favorite! love Minted! would love to win this! love to send out baby announcements! I LOVE Minted and have used them in the past for my Christmas cards..... I would love to win! Getting ready to decorate a nursery and a big boy room. Would love to win. I purchased their notecards in the past and would love some address labels and a fresh stash of cards! Great stuff. I love Minted. What a fantastic giveaway! Would love to win this! Note cards are one of my favorite things right now. I love sending out snail mail. Thanks for the give away. What a lovely giveaway, I adore everything I see here! I would love this for new baby announcements! I ordered 200 wedding thank you notes from Minted this past spring. Simply can't get enough of their beautiful designs. Love Minted. Would be so happy to win. Love their prints! Great giveaway! can't get enough of minted. Would love to use for great artwork on empty walls! I love Minted. I want to send out some cute holiday cards this year and would love this. I love the new art prints. Great giveaway idea! I love the things I've seen from Minted. Their artwork is so fresh and inspiring! I'm moving this week and could certainly use some address labels and invites for our house warming party! There are so many possibilities! I love Minted! And I love your blog! such a fun giveaway. i've always loved minted's products. hope i'm one of the three! Would love this! Thanks so much for the opportunity. Wow! This sounds great!!! Awesome giveaway!! What a wonderful giveaway-would love to win this! Oh. The notebooks I could buy! I love everything that Mint puts out! Wish me luck! Beautiful products- thanks for the giveaway! Oooh I would love to use this for birth announcements! I have a baby turning one. This would be so fun! Oh, I can think of SO MANY things I would do with this gift . . . Christmas cards, beautiful stationary, birthday cards, etc! Thank you for the offer! So many pretty designs at Minted. And so many great ideas on your site! Thanks for hosting this giveaway. I love these prints! Thanks for sharing! I've been dreaming on Minted for my save the dates and wedding invites. This would be a big help! I'd love to pick an art print. I love all the kid prints. I really want to put one in my kids bedroom. Thanks for the chance. Lovely product. Oh I love Minted. We just bought our "forever house" so the stationary/address labels would be perfect! ugh! the cutest stationary!! minted is fantastic! Missing the calendars and hoping they bring em back this year. I get my invitations and holiday cards here every year. They arethebest. Hope I win! Oh I love Minted too!! what a fabulous giveaway! I would love this for my soon to be little girl's birth announcements! I was just browsing Minted yesterday and found lots of great stuff. I'd love to win! Lovely giveaway! Hoping to be one of three! I would love a great stash pretty notecards - Minted is the place for them! For fun! The artwork could refresh my space so completely! I love the Dragonfly Personalized Stationery by Amanda Larsen...supercool shop! I love minted! And have a birthday on the way. Thank you for sharing such a great giveaway. Beautiful work!! So many ideas... thanks for the entry! This would be great for our upcoming baby!! I love everything Minted creates. Mmm, Minted. Perfect for so many things now that I have a kid in school! I adore Minted. They make my life so much easier. Great giveaway - fingers crossed! I'm moving into my tiny sad dorm tomorrow, I sure could use some prints to brighten things up! My wife would love this. She's always wanting to improve our space. Maybe I could surprise her with one of their new art prints. love Minted, I've been using them for my Christmas cards! I love personalized gifts! I would love to win this! I'm a huge fan on Minted. Thanks for the opportunity. oooh, what a fabulous chance! thanks. I love minted! It's never too early too start planning for the holidays! Great giveaway...thank you! 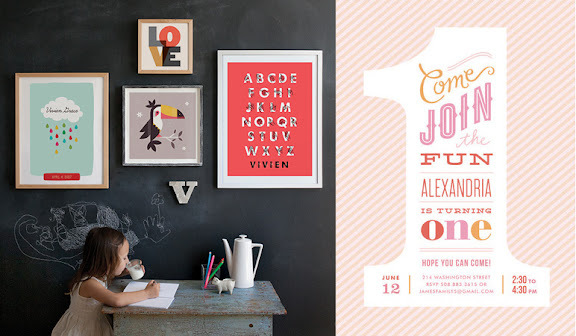 I love minted.com for lovely stationary and art for Finny's new room! I love Minted! Art prints, that is what I would use the $100 for. Oh how fun it would be to win! This is wonderful! I love Minted! ooh, how fun! love their stuff. thanks for the chance to win. Oh, let me win! Their stuff is great! I love Minted designs! Thanks for the chance! I love minted, great products. We are redecorating the kids' bedrooms after a big bedroom shake-up--I just patched old nail holes yesterday! I'd love to have $100 to spend on Minted artwork for their walls!! I love Minted. My son's room has been largely neglected and could use some artwork! Lovely. I'd have to think about the credit- birthday invitations or our annual card or stationery...hmm. 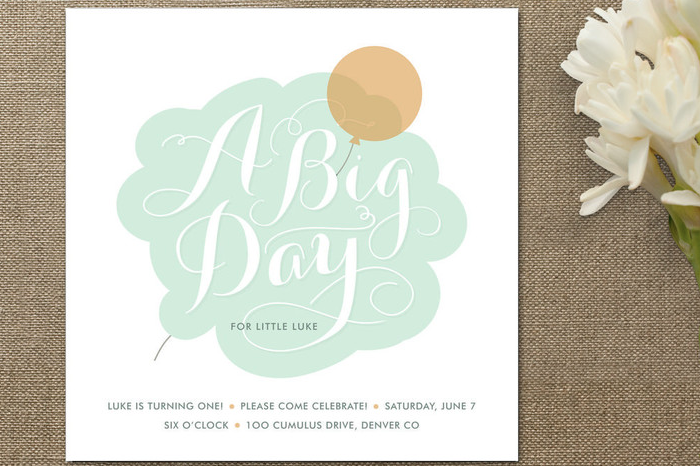 Minted is the best site for invitations!I thought all was lost when I was looking for wedding invitations & then I stumbled upon Minted.com and I was overjoyed because of their beautiful selection! Thanks for a great giveaway Steph, I love minted and could find 100 ways to use 100 dollars there. I've been looking for some wall art lately, minted has some great prints. lovely giveaway! Love the new art prints! Thanks for the love, Steph! Your blog cheers me up. Hopefully, we will buy our first home in the next few weeks and we will be using art prints to make the house a home. Hope you enjoy your weekend, cute girl! talk about perfect timing...really need to do birth announcements for our little girl. fingers crossed! I've been perusing Minted for some baby shower invites, perfect! Ooh...I adore Minted! Keeping my fingers crossed! I got the sweetest journals from Minted. Would love to order some more--have my fingers crossed! Adore Minted! Hope I win!! I am a Minted girl through and through. I'd love to win! I'm new to your blog as well as Minted. Should I leave my email address? I love Minted! Especially their Christmas cards. Thanks for the chance to win! Great giveaway! What gorgeous prints! Hope I win!